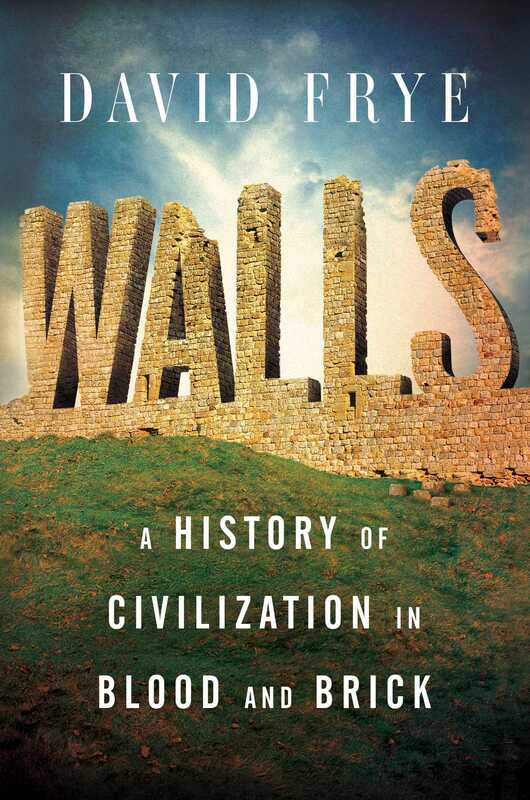 In Walls: a History of Civilization in Blood and Brick, David Frye has written an encompassing and enlightening review of walls through the centuries, ranging from 2000 B.C. to the present. A “Selected Timeline” covers the subject matter in four geographical areas: Near East and Central Asia; Europe; China; and the Americas. Frye writes that walls can take the form of “protectionist economic policies,” a “great internet firewall,” razor wire with motion sensors, or concrete barriers. Stringent, punitive immigration policies around the world seek to keep the perceived destroyers of “our culture out.” That is, we belong here; you do not. The epilogue “Love Your Neighbor, but Don’t Pull Down Your Hedge” covers the period from 1990 to the present. This section begins and ends with an account of how the Malibu coastline transitioned from the single ownership of May Rindge in 1892 until 1926, when she grudgingly agreed to lease some properties after numerous shootings, sheep poisonings, and a Supreme Court decision that went against her. Focusing on the present, Frye embarks on an account of the spate of walls built since the Berlin Wall was torn down. From the United States to the Middle East to Southern Europe and India, and nearly everywhere else, it seems, the pace, enormity, and sophistication of these walls is astounding. People are familiar with the walls Israel has erected in which “infrared night sensors, radar, seismic sensors for detecting underground activity, balloon-born cameras, and unmanned, remote-controlled Ford F-350 trucks, equipped with video cameras and machine guns, augment the wall’s concrete slabs and concertina wire.” Lesser known is Saudi Arabia’s effort, begun in 2003, to create a barrier across its eleven-hundred-mile border with Yemen. The barrier rises across the desolate Empty Quarter, home of significant oil reserves. “Ten-foot high steel pipes, filled with concrete” provide the frame for razor wire while tunnels burrow deep underground. The Saudis have a second, more heavily fortified wall that ranges six hundred miles along their border with Iraq. Egypt, Jordan, India, Thailand and Malaysia, Morocco and Algeria, and Kenya are also in the wall-building business, often with funds or construction assistance either from the United States government or private businesses. The U.S. was in the wall-building business along our border with Mexico long before the present administration, although the present focus changed the dialogue. We had barriers, little more than fences, before the Berlin Wall fell. Under President Clinton, for example, extensions were added to the existing barriers in 1993, 1994, and 1997. After Berlin, however, the word “wall” was largely abandoned in favor of softer language, and in 2006 the “Secure Fence Act” extended the extensions undertaken during Clinton’s time in office. Who knows what will happen at the present time? Walls have deep effects on us. They box us in; they shut us out; they keep others out. They come in physical form, but they can be purely psychological, designed to prevent us from sinking into “the other side of the tracks.” Professional nomenclature excludes people and gives the holders of the language key a sense of superiority. Myriad iterations of “wall” provide endless means to isolate us and keep them out.